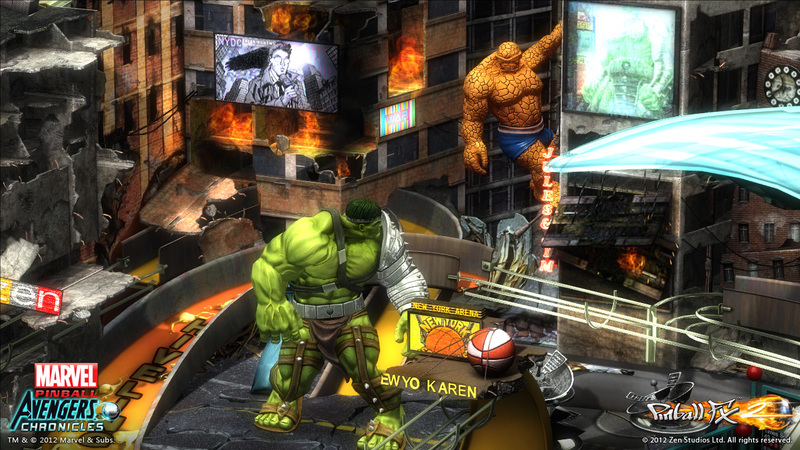 If you’re a fan of comic books or pinball, then you probably already know about the huge success that Zen Studios and Marvel have had together. In their upcoming DLC table pack, Avengers Chronicles, we finally get a table dedicated to the Jade Giant himself, Hulk. Although this isn’t just any iteration of Hulk, this is World War Hulk. In this story line Hulk has just gotten back to earth from an involuntary trip to space and he is mad and out for revenge. Stopping at nothing, Hulk took on heroes and villains alike to achieve the justice he felt was owed. In this new trailer we get a chance to see that Zen Studios will be holding nothing back, as they deliver this hectic adventure as only their digital pinball table can. And just in case that wasn’t enough, you can always take a closer look at the new World War Hulk table via screenshots we have just after the break.